Super Stylish Bracelets Made Simple! 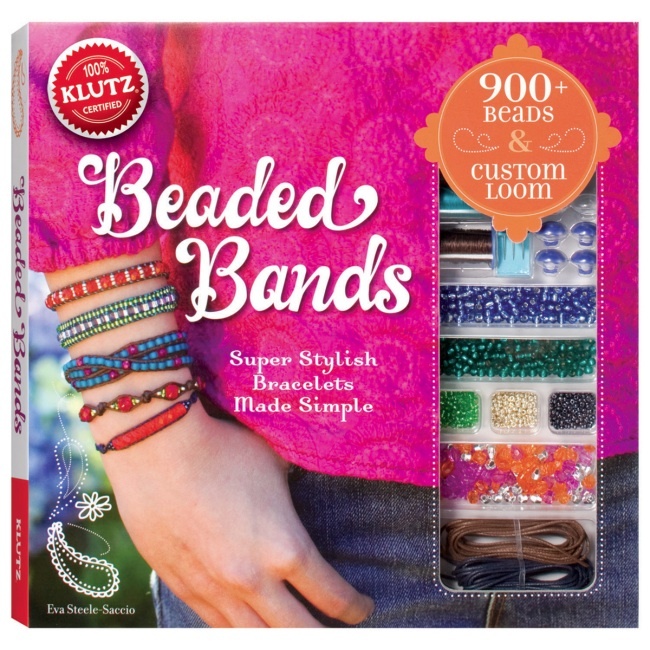 The Beaded Bands Bracelet Kit is a creative jewelry making kit for teens & tweens from Klutz. 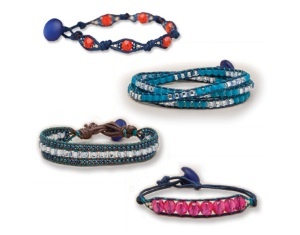 Learn how to make gorgeous beaded bracelets at home! Kit includes full-color instruction book, custom Klutz beading loom, over 900 assorted beads, 7 closure beads, beading thread, bracelet cord, and needles. 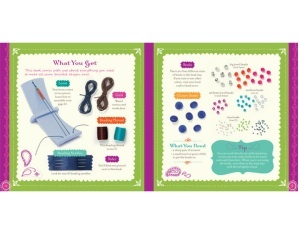 The 60-page Beaded Bands book includes super-clear instructions, detailed diagrams, and step-by-step lessons for making 7 unique bracelet designs. For ages 10 & up.